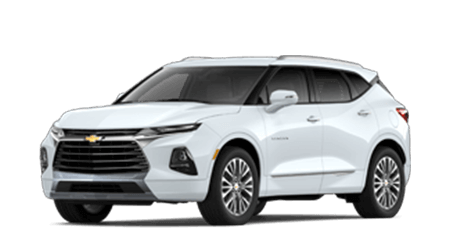 Shop the Chevrolet Blazer today! The new and exciting Bolt offers a comfortable interior. Explore better with a vehicle that has advanced Chevrolet technology inside. The astounding new Camaro harnesses energy and takes you on the ride of your life. Hop inside this new Chevy sports car and go! There are trucks, and then there's the Colorado. The Chevrolet Colorado offers drivers impeccable power and a friendly price tag. 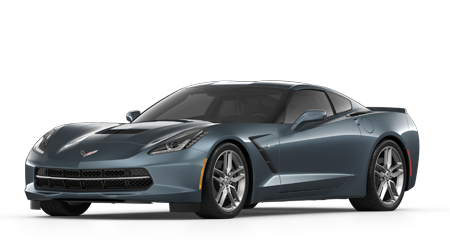 The all-new Chevrolet Corvette introduces sleek body lines and raw power in a new way. Explore luxury from a new angle with the amazing Corvette. Not all cars are made equal, and the Equinox is proof of that. The Equinox makings amazing EPA ratings with up to 36-mpg in the city a reality! 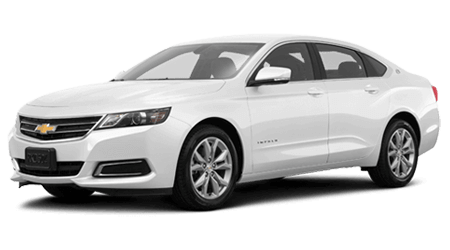 Everyone loves the Impala, as it offers insane EPA ratings, a friendly price tag, and enough passenger room for everyone. 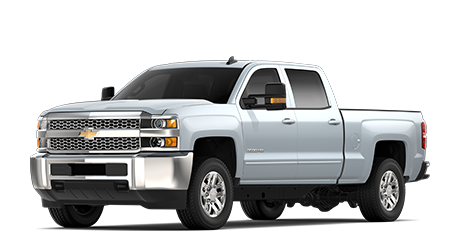 You need a Silverado 2500 for your road trips, moving schedule, and work sites. The new Silverado 2500 is more than a truck, it's a beast. The updated Silverado 3500 offers more than anyone could have guessed. This is a pickup truck with a payload of 4,608 to 5,127 lbs. 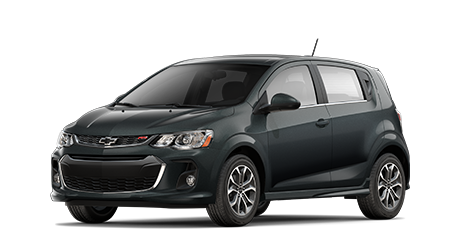 The new Chevrolet Sonic offers EPA ratings up to 28 city / 37 highway as well as 138-hp; what more could you want? 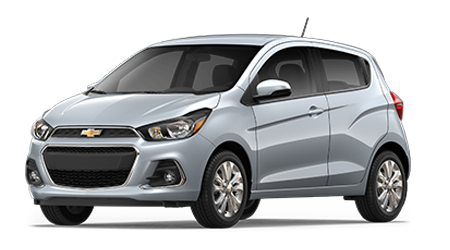 The new Spark offers more than your average subcompact sedan. With nimble maneuvering and advanced Chevy technology, it's no wonder it was ranked #8 in Subcompact cars by U.S News. 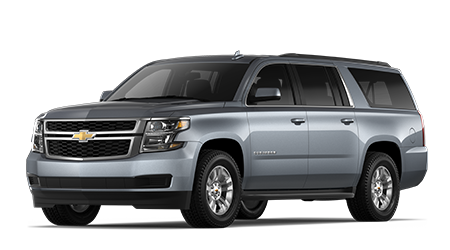 The Suburban has always been a full-sized SUV that you can count on. There are three rows of space, so bring whatever you would like along for the ride! 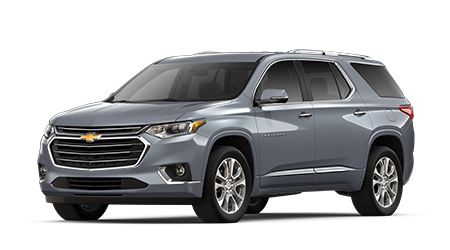 Not only can the Traverse transport you and your loved ones comfortably, but it offers a towing capacity of 1,500 to 5,000 lbs. This vehicle was ranked #7 in Midsize SUVs by U.S. News, find out why. Whether you're in love with the cargo space or the advanced fuel economy ratings, the new Trax is sure to impress. This model offers many trims and features, so test drive it today. This new and improved compact car is ready to take on the streets with luxury features. 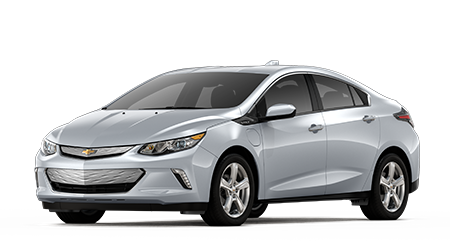 The new Volt has had some serious upgrades for its model year, including in drivetrain and technology. Steve Rayman Chevrolet is a family owned and operated dealership that has been serving greater Atlanta, Georgia drivers since 1985. As your local Chevy dealer, we understand the importance of an enjoyable auto experience and offer competitive prices, reliable services and transparent purchase processes that provide just that! From new cars for sale, including commercial trucks, to sponsoring local community events and offering genuine Chevrolet parts for sale, our new and used dealership by Marietta, Georgia near Woodstock is here for you! 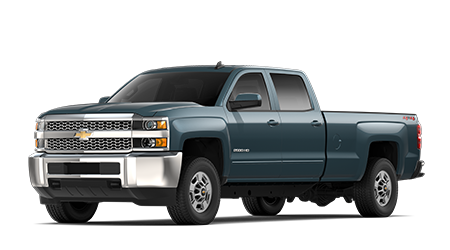 Our Chevrolet sales department can introduce you to the rugged new Chevy Silverado 1500 pickup models that are available or can review the benefits that come from being a Cruze owner. Interested in exploring loan options for a new Chevy Malibu purchase? Our finance professionals are here to assist! Be sure to visit our Chevy dealership with your Tahoe when the time comes for quality maintenance and repairs. Our friendly Steve Rayman Chevrolet team looks forward to providing for all your trade-in, purchase, lease, and maintenance needs, so don't hesitate to contact our team by Marietta today! If you're searching for competitively priced new cars for sale near Atlanta, Georgia, head to Steve Rayman Chevrolet by Marietta! 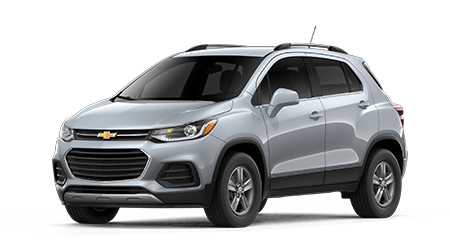 We have new Chevy models in stock for drivers of all financial backgrounds, including nimble sedans, powerful pickups and commercial vehicles that complement the needs of your small business. We've made the purchase or lease process an enjoyable one, and invite our Woodstock neighbors to get in touch with our Chevrolet sales department to learn more about the benefits that come from buying new here at our dealership! As your local Chevrolet dealer, we provide financing assistance to all drivers in the greater Atlanta, Georgia area, so tell us all about your sub-prime credit situation or the high credit score you've been able to maintain! 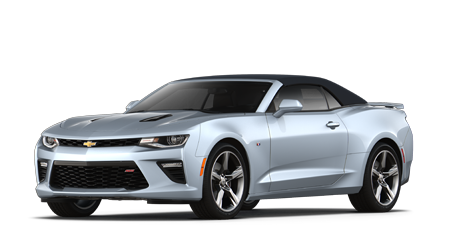 Our Chevy finance department works with a variety of lenders in the area to ensure we're evaluating all financing possibilities and we'll be in touch to discuss all the ways we can help you secure that Chevrolet Camaro you have your eye on! 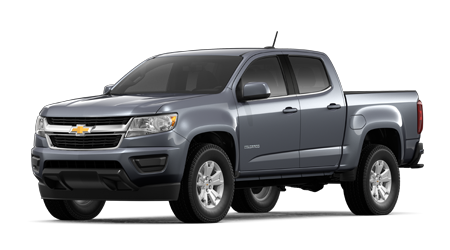 When you use genuine Original Equipment Manufacturer parts from Steve Rayman Chevrolet by Marietta, Georgia for your Chevrolet Colorado truck, you help protect its warranty, lifespan and performance. Our parts department has an extensive collection of OEM products to explore and an array of parts specials that complement them. If you're in the nearby Atlanta area and are interested in putting quality components to use, feel free to use our online Chevrolet part order form to quickly acquire your items! Shoppers in the Woodstock, Georgia area trust Steve Rayman Chevrolet when looking for used cars for sale, and it's easy to see why! 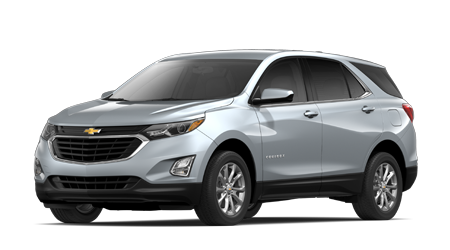 We have a number of high-tech used Chevrolet vehicles to explore, as well as Certified Pre-Owned models that have been reconditioned to meet the brand's high standards. Because we realize the importance of browsing an array of pre-owned models so that you can find the one that complements you, we also offer used cars from other reputable brands! 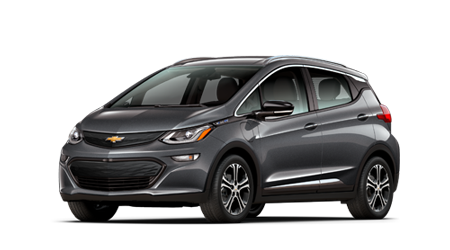 With proper care, your new or used Chevrolet can enjoy a healthy, fuel-efficient lifespan. Here at Steve Rayman Chevrolet, our service center employs professional ASE technicians, including five World Master technicians, so that we can address and provide for the needs of your ride no matter what brand of vehicle you drive. Use our website to request a tire service appointment for your Equinox from your Woodstock, GA home after checking out all the service specials we offer! Thanks to our interactive Chevrolet website, drivers in the greater Atlanta, Georgia area can value their trade-in, apply for financing or explore the latest Chevy models to hit the market, all from the comfort of their Atlanta or Woodstock home. Feel free to browse all the resources our new and used dealership by Marietta has made available before visiting us for the customized auto experience that you deserve. Our Steve Rayman Chevrolet team looks forward to speaking with your about your needs soon!